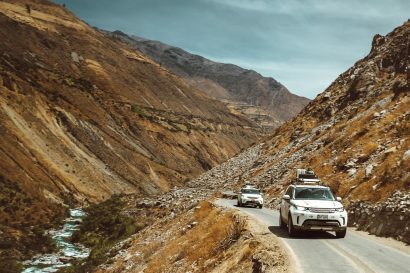 So I will admit, it probably isn’t the best choice for an expedition vehicle, but this is a seriously tough, and not to mention cool truck. 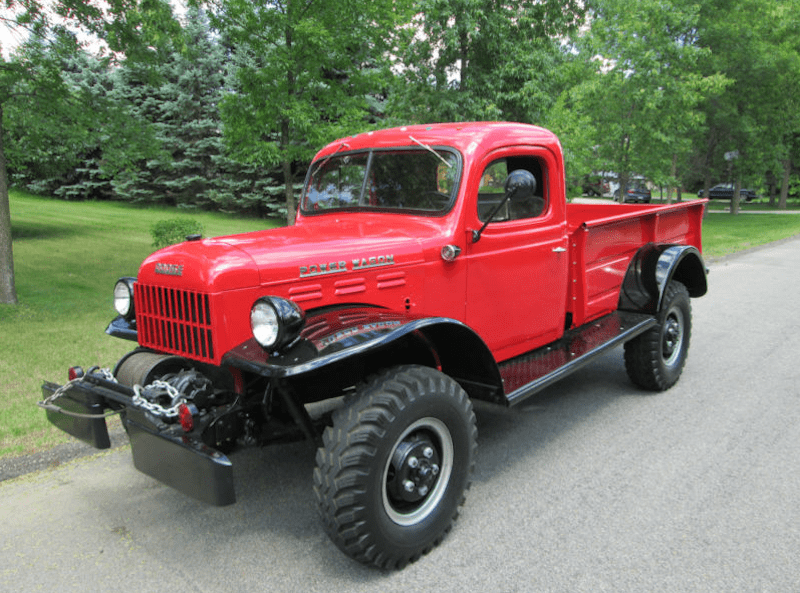 It’s a 1950s Dodge Power wagon that has been “maintained and updated but never restored” and is in overall fantastic shape. Powered by its original 236 cubic inch 6 cylinder, and according to the owner will start and run smooth even when it’s cold outside. The bed has been rebuilt with new fasteners and planks of wood that shine with a fresh coat of varnish. The interior looks just as good and has received a new headliner and proper seat recovery to leave it looking like it did back in 1952. Although almost everything works from the original MOPAR heater to the winch, the speedometer isn’t in functioning condition. 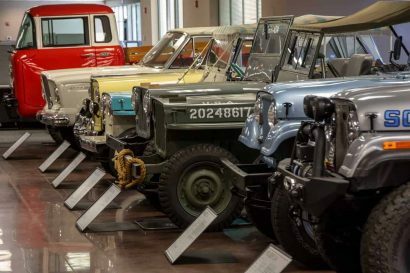 Of course with a “highway” cruising speed of just 45 mph, you’ll probably be more concerned with making it to the local drive-in than picking up a speeding ticket. 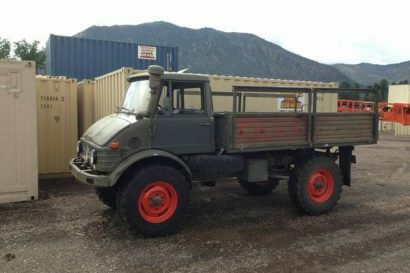 THIS IS A REAL TRUCK!! ONE OF THE TOUGHEST TRUCKS EVER PRODUCED!! ORIGINALLY FROM THE NORTHWEST U.S. FINDING ITS WAY TO PHOENIX, ARIZONA. I CURRENTLY HAVE IT IN MY COLLECTION IN MINNESOTA. 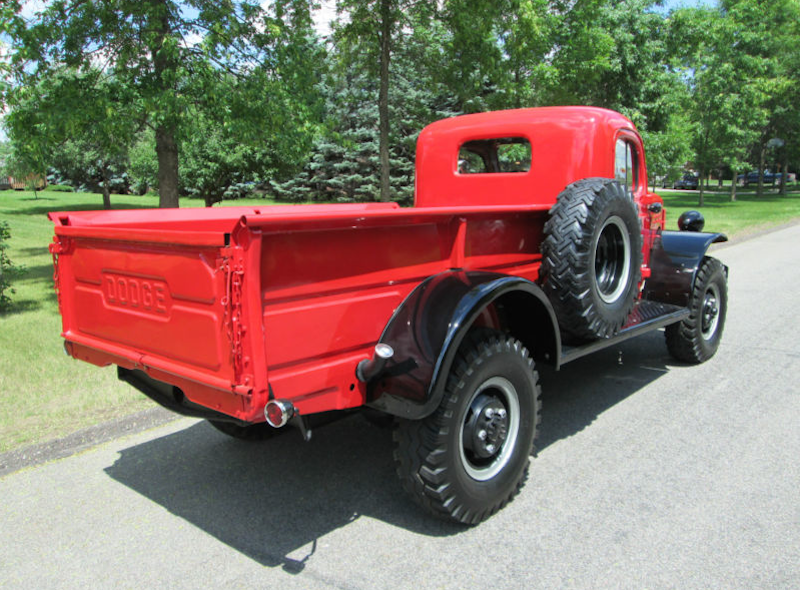 THE TRUCK HAS NEVER BEEN TOTALLY RESTORED, JUST UPDATED AND REPAIRED. THE PAINT IS PRESENTABLE BUT NOT SHOW QUALITY. THE BODY IS FAIRLY STRAIGHT AND SEEMS SOLID. 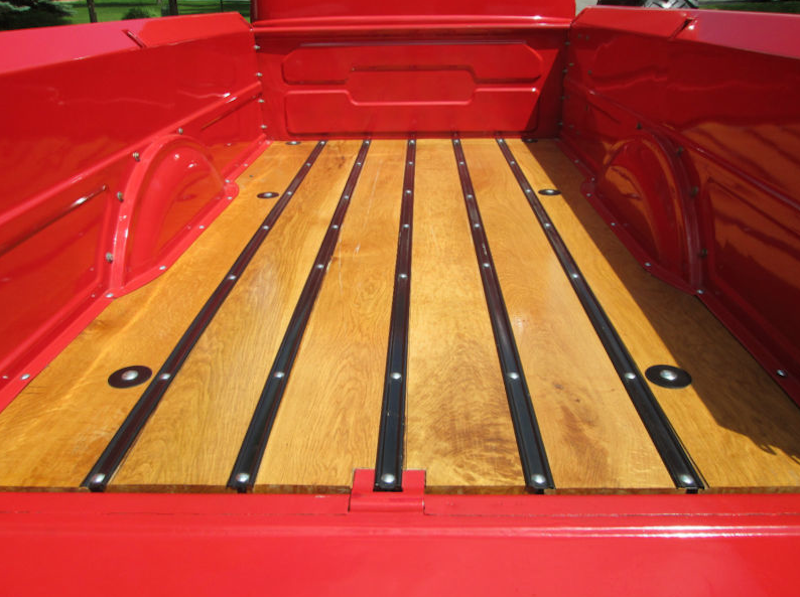 THE PICKUP BOX HAS BEEN REBUILT WITH ALL NEW FASTNERS, AND NEW OAK BOARDS WHICH ARE VARNISHED. THE MOTOR ( 236.6 CI FLATHEAD 6 CYLINDER ) RUNS VERY WELL – NO SMOKE, STARTS GOOD COLD OR HOT AND HOLDS GOOD OIL PRESSURE. I THINK IT WAS REBUILT. TRANSMISSION SHIFTS WELL AND HAS LOW AND HIGH SPEEDS. BRAKES SEEM TO WORK WELL. FRONT WINCH IS IN WORKING ORDER. THE INTERIOR OF THE TRUCK IS CLEAN. THE HEADLINER IS NEW AND THE SEAT HAS BEEN RECOVERED PROPERLY. NONE OF THE GLASS IS BROKEN BUT THERE IS SOME DELAMINATING AROUND THE EDGES. SPEEDODOMETER DOES NOT WORK. HAS MOPAR DELUXE ORIGINAL HEATER. V.I.N. PLATE IS ORIGINAL ISSUE DODGE. DOORS OPEN, LATCH, AND FIT VERY WELL. (4) TIRES ARE 900-16 LT TRACTION TIRES AND ARE NEW. I HAVE DRIVEN THIS TRUCK AND IT PERFORMS QUITE WELL. HIGHWAY SPEEDS ARE ABOUT 45 MILES PER HOUR.